So much for that Rams prolific offense in the first half. I wish both teams could lose. Edleman may have 20 catches before it's all over. Even though the voting is strongly biased towards the QB? Yeah, but Brady hasn't done anything yet. Edelman might break some records tonight. I agree. If Edleman has another half like that and a TD he's a lock in my mind. Edleman has been WIDE OPEN on his catches so Brady has literally done nothing so far. Edleman is so under rated. He's playing like he's on meth tonight. He's a wirey little thing. Goff is 5 for 15 with 52 yards in the 3rd quarter. That's pretty pathetic with all those weapons. Mr. "Boy Genius" better figure something out and dial up a few productive plays. 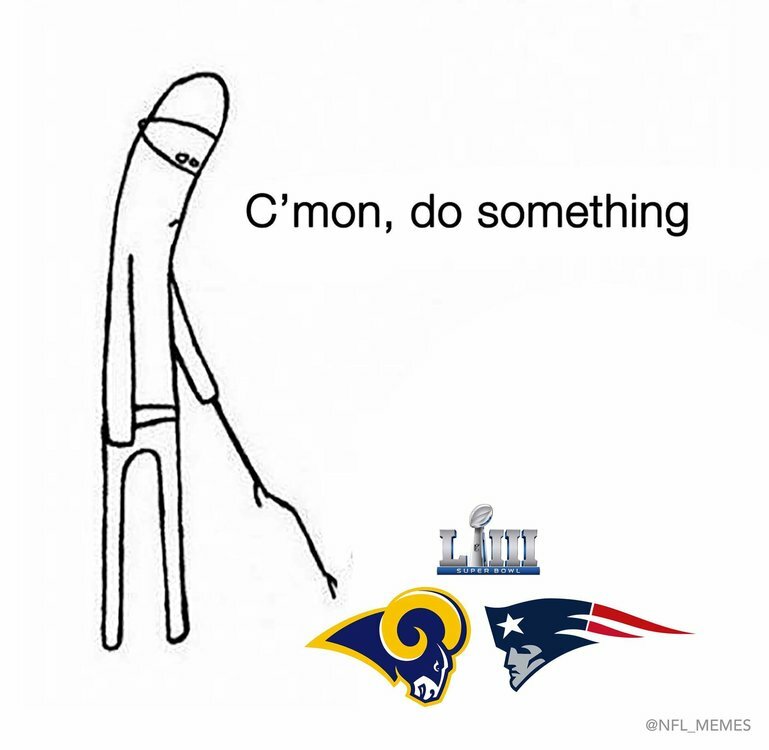 I feel like the Pats let them hang around a bit too long. Edelman will probably break James White's record of 14 receptions.